Goodreads Summary: Born into old money, Lily Ayres lives at Waverly, her family’s estate situated at the foot of the Blue Ridge Mountains in Paris, Virginia. She is a strange, small, almost mute, young woman who has no idea that her father has given her to the Vampire King Krieger. Walter Ayres is the King’s Keeper and part of a secret society of historians who unearth, preserve, and attempt to understand relics of long forgotten civilizations. WHOLLY COW! This is a fantastic book and I have discovered a new favourite author in Rebecca Trogner. 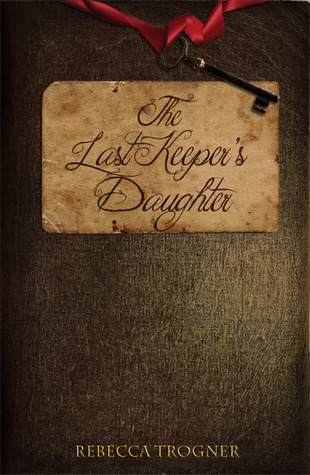 The Last Keeper’s Daughter was a unique book with interesting twists and always kept me wanting more. I am extremely glad this is a series and cannot wait to see where the story goes in book two. The writing style of Ms Trogner has such an easy flow and the characters were very intriguing that I couldn't put it down. My first impressions of this book were wow, so interesting and the prologue set everything up; explaining the title and where the characters come in. Walter Ayres is the Keeper for King of the North American Vampire’s, Krieger Barnes. A Keeper is as the name suggests, keeper of secrets and history throughout the ages. With each generation of Keeper, it is the eldest son that all information and history is handed down. There is a society of Keeper’s around the world and they all communicate, sharing and helping one another. Searching for lost artefacts and keeping tabs on everything. One night Walter went to Krieger and requested that he look after his daughter, Lily and protects her from harm. Walter is unwell and knows there is something going on that is dangerous. Walter is called away to England by another Keeper in search for a missing Keeper, Winston. It is all very mysterious and Krieger is intrigued enough to agree to protect Lily. Lily has never really belonged anywhere. She is petite beautiful girl that hardly ever speaks. She is a highly unusual girl and doesn't really get along with Walter. Her Mother died during childbirth and Lily was raised by Martha, who is the estate caretaker of sorts. Walter disappears and Lily believes he is on another of his trips. Not really knowing where or what he is doing, she carries on her normal life. A charity function is being held on her estate and during a walk, she falls down a set of stone steps. Krieger was never far away, always watching to make sure Lily was alright. He finds Lily broken and barely alive and his only way to keep his word to Walter is to share his blood with her. Magic healing didn't appear to work, perhaps Lily is not entirely human (?) and the blood is the only option. Drinking Krieger’s blood has created a bond between the two and is highly irregular for Krieger to take a human and his subjects are curious as to why. Lily recovers from her injuries and feels drawn to Krieger; their bond is strong and their feelings of desire for each other are strong also. Murder is committed and Lily seems stuck in the middle. Everybody appears drawn to her otherworldliness and Krieger is very protective. Lily is determined to discover who murdered the Keeper’s and why they keep disappearing. A detective from England is brought in and told the secrets of the Other’s. He has never realised that Other creatures exist and that magic is real. Now trying to take in this new world and their customs, Hunter is trying to help Lily solve the murder. Will Lily and Hunter discover who is the real murderer and why? What really happened to her Mother all those years ago? Can Lily and Krieger let their basic instincts go and be together in every way? What is Lily really, human, Other or both? Can Lily overcome her shyness and old habits to speak her mind and stick up for herself? This book was so full of intrigue you couldn't help but be drawn in. The creatures and world building that Ms Trogner has created was unique and amazing to say the least. The book has everything from betrayal, mystery and magic, to romance, fantasy and Lily’s ability to become the woman we want her to be. I highly recommend this book to EVERYBODY, it was awesome. I really want book 2 right now, please! Well dang! With that kind of review I MUST put it on my list right now. :) Thanks for the recommendation, it sounds awesome. This sounds so good! 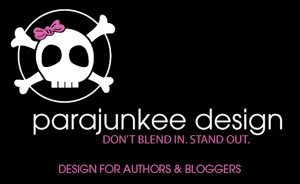 Your review was so enthusiastic that I have to put this on my To Read list right now!